The stand easy is ideal for anyone who needs that extra help getting from a seated to a standing position. 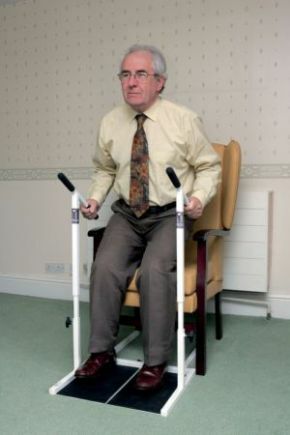 This sturdy standing frame offers a secure solution to those who require assistance when getting in or out of a chair, wheelchair, bed or even car. The Stand Easy aids self assisted raising and lowering, reducing the need for carer involvement. The frame features a dual handle option which allows users to adopt either a push or a pull motion when raising or lowering and allows freedom to walk forward without obstruction. Features adjustable handle height and base width for added versatility.Also dismantles for storage.